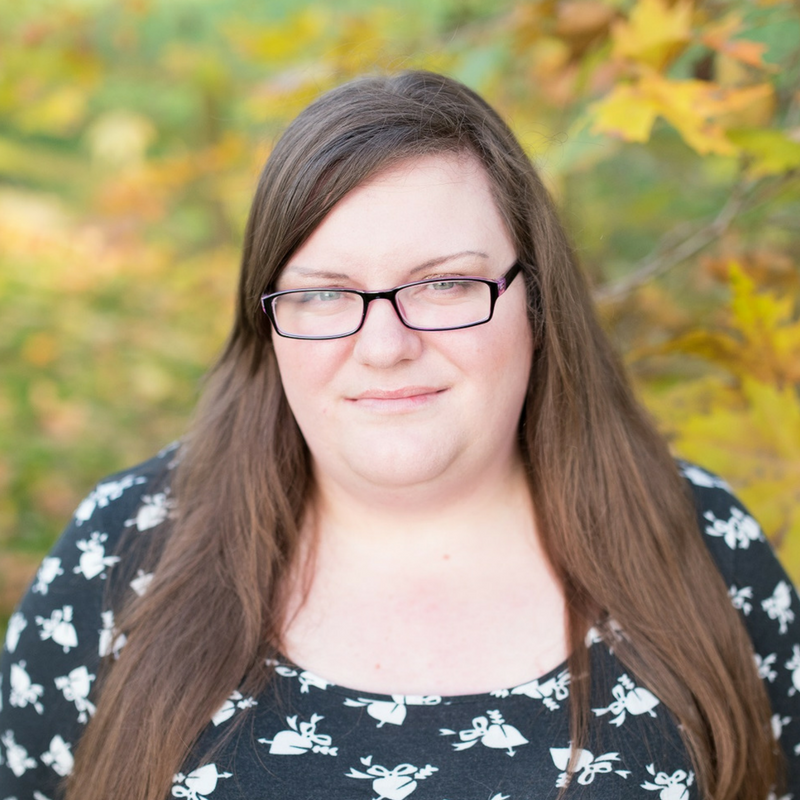 Hi, I’m Emma Drew and I will help you to grow your blog into your dream business. With #MyBlogMyBusiness I will teach you how to build & grow your online business and earn money from your blog. And if you don't have a blog yet, I will help you to get started on the right foot. I will provide you with all of the resources, training, and support you need to run your dream online business! #MyBlogMyBusiness is a monthly membership program where you are at the centre. You are mentored and advised throughout your blogging journey. Exclusive welcome gift (Plus Membership). Coaching calls with me (Plus Membership). "I've had blogs on and off for about 10 years now but I've never had a successful blog until I joined #MyBlogMyBusiness. I started a new blog in March this year and by following Emma's advice I made over £300 in just my 3rd month and have successfully doubled my page views month on month (and up'd some of my social media stats by over 37,000%) all whilst working full-time, running a business with my sister and having a life. Truth be told I'm probably spending less than 10 hours a week on blogging and enjoying it more than I ever did before. #MyBlogMyBusiness is a must whatever stage you are in your blogging career. The information Emma gives is laid out in a simple way and is super easy to implement, you can see real progress after each task or step and the community is really supportive." Every member registering for #MyBlogMyBusiness Plus Membership from the UK will receive a physical welcome gift. 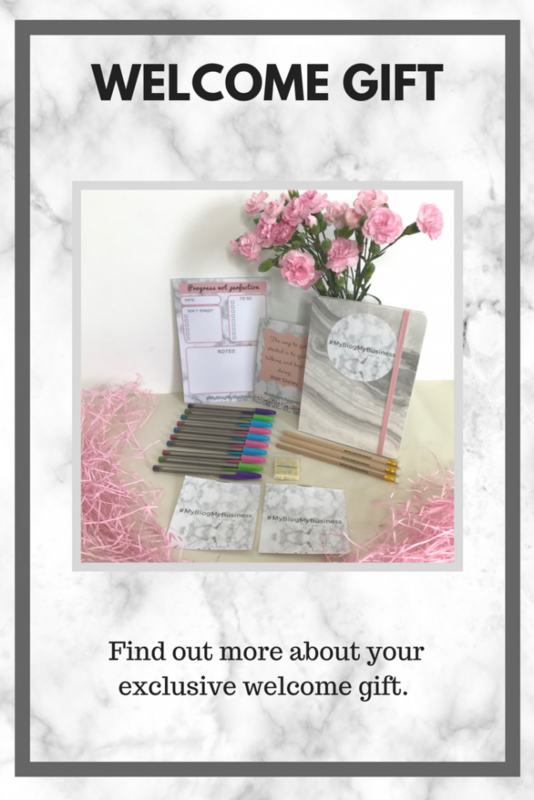 Each welcome gift pack has been carefully curated by myself and includes items to help you with your blogging journey. These are products that I love and use, and know that you will love and use. I’m the UK’s Best Money Making Blogger, and I earn a six-figure income from my blog. 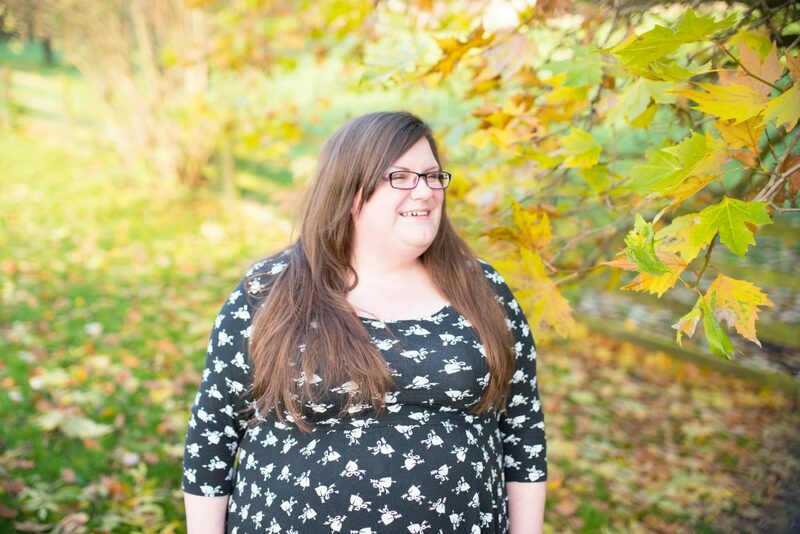 When I first started almost 8 years ago, I had NO idea that any of this was possible – I just wanted to share my money making and money saving journey with other people, in the hope that it would help them to change their circumstances. 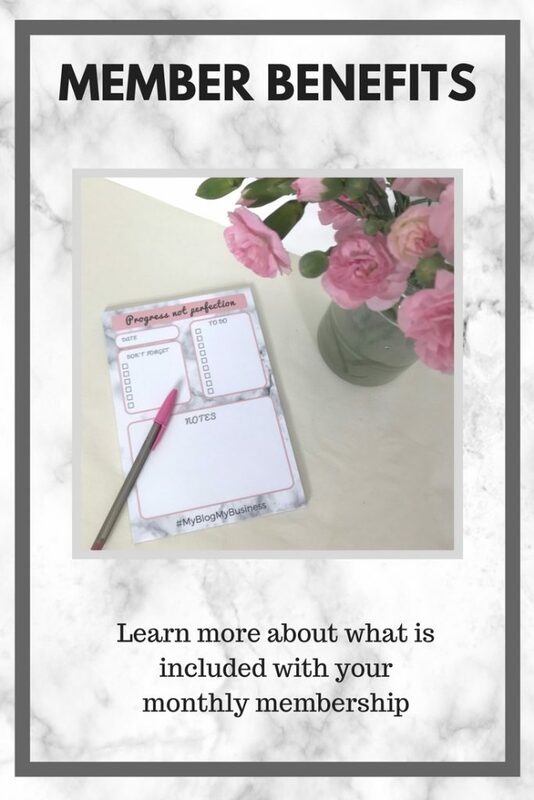 I made SO many mistakes along the way – even choosing a trademarked name for my blog, which very nearly landed me in hot water! But my hard work, persistence, and determination to crack the blogging code paid off. Today I have a weekly column in a national magazine, I’ve featured in The Sun, Daily Mail, Prima Magazine, & more, and I truly live the life I want. Remember that, despite my success now, I’m really no different to you. I’m just a woman who developed a system to make blogging work for her. My 8 years of experience in this game means that I know EXACTLY what works, and exactly what doesn’t – and I’ve made it my mission to help a select few bloggers to supercharge their success and escape from blogging mediocrity.